In Americans for Prosperity Foundation et al. v. Xavier Becerra; No. 16-55727; No. 16-55787; No. 16-56855; No. 16-56902 (11 Sep 2018), the Ninth Circuit held California could require nonprofits to file IRS Form 990 Schedule B with their state returns. Schedule B discloses the names and gifts of major donors. The disclosure met the substantial relation test because it served an important state interest in preventing charitable fraud. The Attorney General of California is required to maintain a registry of charitable corporations. Qualified exempt California nonprofits must submit IRS Form 990 with Schedule B to the Attorney General. Depending upon the organization's total receipts, major donors with substantial gifts above a specific level must be reported. Between 2010 and 2015, the Americans for Prosperity Foundation (AFPF) and the Thomas Moore Law Center (TMLC) were required to report their major donors. Both organizations filed returns and were not willing to disclose their donors. The Attorney General of California brought an action to require the disclosure of their major donors on Schedule B. After the case was initiated, the California Attorney General published a 2016 regulation to make Schedule B reports confidential. Cal. Code Regs Title 11, Sec. 310. Disclosure is permitted only as part of a judicial or administrative enforcement proceeding or through a search warrant. AFPF and TMLC claim that filing Schedule B unconstitutionally hinders the First Amendment rights of their donors. Donors may fear disclosure and harassment. As a result, donors may be reluctant to make gifts. The U.S. District Court for the Central District of California ruled that AFPF and TMLC were protected under the First Amendment and did not have to disclose their Schedule B donors. Americans for Prosperity Foundation v. Harris, No. 2:14-CV-09448-R-FFM, 2015 WL 769778 (C.D. Cal. Feb 23, 2015). The Ninth Circuit rejected the AFPF and TMLC request to not disclose their donors. They had asked the Court "to apply strict scrutiny and to hold that any mandatory disclosure of a member or donor list is unconstitutional absent a compelling government interest and narrowly drawn regulations furthering that interest." Instead, the Ninth Circuit held that the proper standard is a "substantial relation" as defined under prior court decisions. The Ninth Circuit stated, "To withstand this scrutiny, the strength of the governmental interest must reflect the seriousness of the actual burden on First Amendment rights." AFPF and TMLC claimed that the Attorney General did not need Schedule B information for three reasons. They stated the Attorney General did "not use the information frequently enough to justify collecting it en masse, he is able to investigate charities without Schedule B information and he does not review individual Schedule B Forms until he receives a complaint, at which point he has at his disposal tools of subpoena and audit to obtain the Schedule B information he needs." The Attorney General demonstrated that Schedule B information was sufficient to make its enforcement efforts more efficient and effective. Because the strict necessity test is not mandated, the Court determined the Attorney General may rely on the improved efficiency standard. The Ninth Circuit noted that "the evidence, however, shows at most a modest impact on contributions." While some donors may fear disclosure, the mere possibility of a fearful donor is not a substantial burden on First Amendment rights. AFPF showed that donors "have been subjected to threats, harassment or economic reappraisals." However, the Ninth Circuit held that the new Attorney General procedures and improved data security guidelines were sufficient to reduce the risk to "slight." Therefore, the Attorney General may require the Schedule B information with disclosure of major donors. Editor's Note: Both the Ninth Circuit and the Second Circuit in New York have permitted states to require nonprofits to file Schedule B with their returns. Nonprofits are likely to appeal this First Amendment issue to the U.S. Supreme Court. In Champions Retreat Golf Founders LLC et al. v. Commissioner; No. 4868-15; T.C. Memo. 2018-146 (10 Sep 2018), the Tax Court denied a $10,427,435 conservation easement charitable deduction because it failed to satisfy the conservation purpose test under Sec. 170(h). Champions Retreat (CR) is a Georgia LLC that owns a 463-acre tract with three nine-hole golf courses. The courses were designed by Gary Player, Arnold Palmer and Jack Nicklaus. On December 29, 2010, CR deeded a conservation easement on 348.51 acres to the North American Land Trust (NALT). NALT biologist Lee Echols surveyed the property and determined it qualified for a conservation easement. CR obtained an appraisal and reported a 2010 charitable conservation easement deduction of $10,427,435. 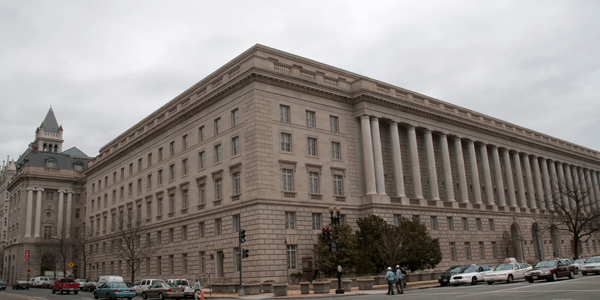 The IRS denied the deduction on two grounds. It determined the conservation easement was not qualified under Sec. 170(h) and also had a value of zero. The CR easement deed claimed there were three conservation purposes. These were, "Preservation of the area as a relatively natural habitat of fish, wildlife or plants or similar ecosystem; preservation of the area as open space which provides scenic enjoyment to the general public and yields a significant public benefit; and preservation of the area as open space which, if preserved, will advance a clearly delineated Federal, state or local governmental conservation policy and will yield a significant public benefit." The easement includes most of the golf course fairways and greens. It excludes the club house, residential buildings and utility buildings. A conservation easement must meet the purposes of "(1) the protection of a relatively natural habitat of fish, wildlife, or plants or similar ecosystem or (2) the preservation of open space where such preservation is for the scenic enjoyment of the general public." Sec. 170(h)(4)(A). The evidence did not show sufficient presence of rare, endangered or threatened bird species. The endangered denseflower knotweed was present, but only 17% of its habitat was covered by the easement. Finally, because the private course is not open to the public, there is no Sec. 170(h) preservation of open space with a significant public benefit. Because there was insubstantial protection of endangered birds or plants and the golf course was not open to the public, the easement deduction was denied for failure to meet Sec. 170(h) conservation purposes. The IRS has announced the Applicable Federal Rate (AFR) for September of 2018. The AFR under Section 7520 for the month of September is 3.4%. The rates for August of 3.4% or July of 3.4% also may be used. The highest AFR is beneficial for charitable deductions of remainder interests. The lowest AFR is best for lead trusts and life estate reserved agreements. With a gift annuity, if the annuitant desires greater tax-free payments the lowest AFR is preferable. During 2018, pooled income funds in existence less than three tax years must use a 1.4% deemed rate of return.